Stepney Station 1 is the headquarters for the Stepney Volunteer Fire Company. This building was constructed in 1923 and still remains the operation center for this emergency service. 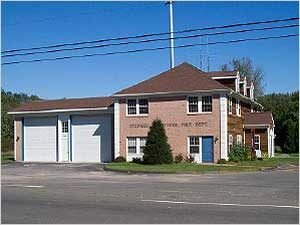 To accommodate our firefighter’s needs this station has a social quarters, meeting hall, weight room, TV room, and 4 bays. Currently we run two engines and one rescue out of this station on a day to day basis. In the event of a town wide emergency, this station is designed and designated as an emergency shelter for the citizens of Monroe. This facility also has a dispatch center for fire control operations.